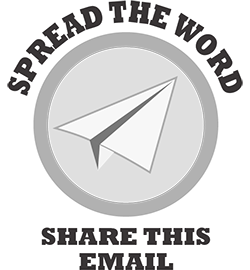 Hi, just a reminder that you're receiving this email because you have expressed an interest in Bread Beckers Inc. Don't forget to add support@breadbeckers.com to your address book so we'll be sure to land in your inbox! You may unsubscribe if you no longer wish to receive our emails. 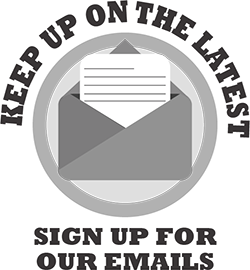 Thanks for subscribing to our Newsletter. Please feel free to forward this to a friend. If you'd like to unsubscribe from this newsletter, there is a link at the very end. For thousands of years oats have been considered an extremely nutritious food. In fact, records dating back more than 2,000 years show that oats were used as medicinal food - as a healing agent, skin moisturizer and cough reliever. Outside these medicinal uses, oats were primarily used only for animal feed until the discovery as a people food by the Germanic tribes. It is said that they made their "porridge of nothing else". Despite this delicious discovery, up until the 19th century, Scotland and Ireland were the only regions where people still consumed oats. Oats grow best in cooler climates with plenty of rainfall, conditions inhospitable to most grains, which explains why they have remained popular in both these countries. Oats are particular high in the amino acid, glutamine, which has been shown to promote healing to the gastrointestinal tract and boost immune function. Along with barley, oats are an excellent source of soluble beta-glucan fiber. Recent studies show that beta-glucans help reduce cholesterol, control blood sugar levels, and improve immune function. Slow to digest, beta-glucans, help give oats their sustained feeling of fullness reputation. In our recent St. Patrick's Irish Breakfast Class, Judith McLoughlin, author of The Shamrock and Peach cookbook, introduced us to a delicious overnight oatmeal that is sure to become a family favorite. Most of us know of oat's "stick to your ribs" reputation and usually look to a bowl of hot steaming oatmeal for its warm comfort on a cold winter morning. Judith's refreshing take on oatmeal will give you all the satisfaction of a hearty breakfast more suitable for a warm spring or summer morning. But don't just savor this delicious treat for breakfast. It is equally satisfying for an afternoon "pick-me-up" or a light after dinner dessert. It's a make-ahead dish that can be used as a quick but nourishing grab and go meal. Like all grains, oats are both nutritious and delicious. Why not try a bowl today? 1. To make the Bircher oatmeal mix the oats, chia seeds, salt, and apple juice in a large container and soak covered for 8 hours or overnight. In the morning stir in the vanilla and heavy whipping cream and then refrigerate. 2. In a skillet toast the walnuts with honey granules, butter and a little salt. Set aside and cool. 3. Slice the strawberries and toss them in the maple syrup, squeeze of lemon. 4. To serve divide overnight oats in to bowls and arrange berries on top, sprinkle with a few crunchy walnuts. With all the negative information concerning grains published today, Sue will bring a timely message on the truth about wheat and grains. She will share the history of white flour and its effects on our health, as she discusses the correlation of the bread we eat and common health issues that plaque most of us. The facts given are Biblically based and scientifically proven. Sue's presentation is both informative and encouraging. Ready to enter the world of milling your own grains and making all your own breads? We will discuss all the necessary baking ingredients and types of wheat and equipment needed to make this lifestyle change not only possible but doable! 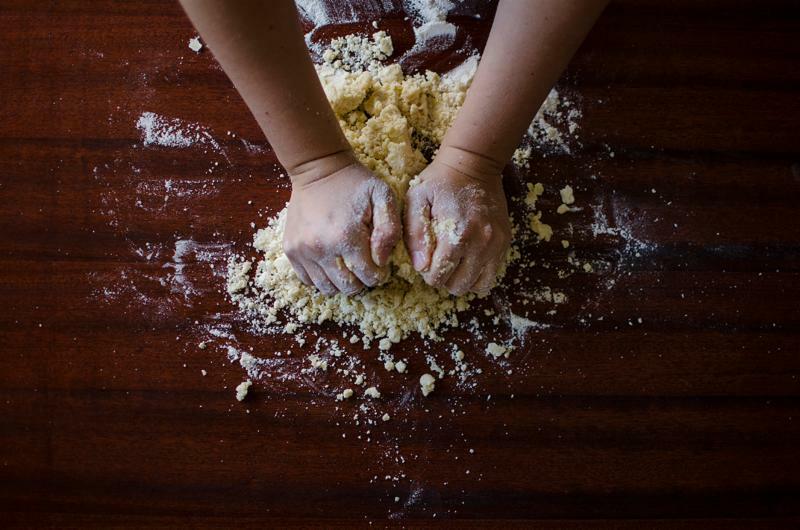 We will demonstrate milling flour, mixing quick breads, kneading bread dough, and more. And best of all - you get to taste everything we make!! You are invited to come and celebrate at Bread Beckers with Morning Star Church of Canton GA.
We can better celebrate our wonderful freedom in Christ by discovering Jesus in the events of the first Passover and the last meal shared with His first disciples. We invite you to come learn with us as we share a meal together. Pastor Jamie Powell will share with us some of the rich, symbolic truths of seeing Jesus in this celebration and its significance to us as Christians. Morning Star is the church home of Brad and Sue Becker. We are so pleased to be able to open up this event to all who want to attend, regardless of denomination or church affiliation with emphasis on how this celebration is important to all believers in Christ! The Bread Beckers will be at the Mother Earth News Fair in Ashville, NC with a selection of our grains and supplies available. available to purchase at the class. You spoke and we listened. For those overwhelmed by the longer Getting Started class, this will be a scaled down version, covering just the "essentials" of home flour milling. Sue will show you how fast and easy it is to make wholesome and delicious bread, cinnamon rolls, muffins and cookies. And of course you will be sampling what is made during the demonstration. Join Charmane and Sue in the kitchen for a real Italian treat. Charmane is the founder and owner of the fabulous s.a.l.t sisters Seasonings and Rubs and will share the many delicious ways to use and enjoy a variety of seasonings. For starters, you will enjoy an Antipasta Platter and Arugula with Roasted Cherry Tomatoes and Lemony Parsley and Peppercorn Dressing. Charmane will be showing off her authentic Spaghetti and Meatballs and Crispy Zucchini Bites. And last but definitely not least an Italian Lemon Olive Oil Cake. A class you don't want to miss. Co-ops are a great way to get your grains and other supplies that are just too expensive to ship any other way. Current co-op shipping rates range from 12 cents to 15 cents per pound (depending on distance from our warehouse) when we deliver on our own truck, compared to UPS rates that can be around 60 cents a pound! We have over 100 co-op locations around the Southeast. Visit our website and find the co-op closest to you, our coordinators will be happy to welcome you into a co-op!